For example, in many Asian and African countries, the English language is being taught as the Second or Third Language. Also, there are many varieties of English given the mother-tongue influences in countries such as Singapore, Malaysia, New Zealand, India, Brunei, Australia and Canada. As an ESL teacher, you will find that this ESL teaching guide provides you with a quick checklist of tips, helping you to make your ESL classes fun and easy for foreign students. Basically, you will have two types of students - school students and corporate clients. 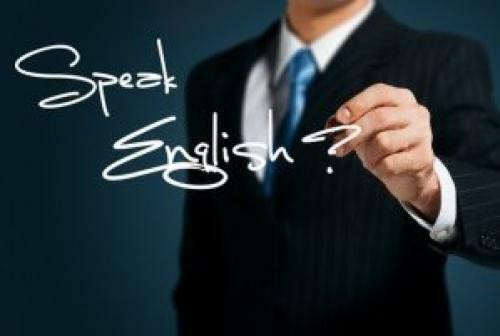 ESL school students are those who do not have English as the mother tongue. They need help with Basic English grammar as well as Advanced English conversation for daily living. Corporate business clients are those managers and employees who need to polish their English in an ESL class for effective global business communication. By understanding your ESL students, you will be able to design teaching strategies that address their specific needs. Breaking the silence in the first 10 minutes of each ESL class is essential for success. Most ESL students are very shy to speak and write anything in English. With a positive and supportive learning environment, you will be able to encourage them to try speaking and writing in English every day. To break the ice, you will need to make the first 10 minutes the most fun and relaxing for your students to open up themselves and speak English freely through mini games and exercises. Invent fun games for them to introduce each other, tell funny stories, or explain something in English. English learning should not be boring. Make your classes fun and interactive for all your ESL students. Then, they will be interested in learning and will become engaged throughout the lessons. Organize learning activities that keep your ESL students involved and will enable them to learn from each other. Ask their opinions and suggestions on new topics. Discuss problems and challenges that they encounter in English speaking and writing. Integrate seasonal events (e.g. New Year, Thanksgiving and Christmas) as part of your teaching curriculum. If there is one thing you can teach ESL students, it's to focus on their communication skills. This means helping them to improve daily conversations with others, to polish their telephone manners and to polish their writing style. With telephone conversations, ESL students will have no visual clues so it is important to speak clearly and slowly. When in doubt, they should always ask a question to clarify and confirm what they intend to say. With written communication, ESL students just need to practice writing something or anything every day from a simple note, a letter, an invitation or email message to a full essay or report assignment. Teach them the right choice of words and phrases to minimize confusion for others. Practice speaking in front of a mirror every morning and night. Very often, ESL students cannot communicate well due to their lack of proper vocabulary. Then, without the right words, they face social and cultural barriers to communicate effectively in different situations. Help your students to build their vocabulary using different teaching aids. Create flash cards. Build digital folders. Use some of the latest games and apps in mobile devices. Focus on what kind of vocabularies will help them communicate well in school or business settings. In some cases, English words have different meanings for different cultures and situations and so it's your job as an ESL teacher to clarify and explain how to use those words in detail. The best way to learn is through real life situations. In your classroom, you can always use role play exercises to create situations that mimic how ESL students should speak and respond to others. For example, you can have different scenarios from ordering fast food and dining in a fancy restaurant to having a job interviews and speaking to a customer. This way your ESL students will learn how to observe, listen and respond in various situations. Helping your ESL students to be effective communicators means teaching them social and business etiquette as well. This means teaching them manners, politeness, social norms, business customs and cultural cues. ESL students will need to learn how to communicate with proper words and manners from casual to formal settings. More importantly, you can teach ESL students both verbal and non-verbal communication techniques and skills. For example, how make good eye contact, shake hands, greet people, and express themselves through their facial expression and body gestures. Anyone can give an opinion or feedback, but you as an ESL teacher will need to provide the most positive and constructive feedback to your ESL students. They have to feel encouraged and supported, to continue learning and improving their English. Learning a new language like English is difficult for some because their own mother tongue may have a very different language structure and linguistic sound. Your positive attitude will translate into their positive mindset for English learning. Provide specific examples and tips to help them understand what is right or wrong to speak and write every day. With these eight ESL teaching strategies and techniques above, you will become a very efficient and effective ESL teacher who is liked by all your ESL students. Even though there is a quiz, a test or a grade on paper, your ESL students will only remember what they have experienced and how they felt in each ESL class. You are there to provide a positive, supportive and constructive learning environment with no judgment, but only opportunities to learn and grow as individuals. Be proud of yourself. Global Marketing Communications Network (GLOBAL MCN™) is a strategic marketing firm that offers copywriting, consulting and coaching services to CEOs, entrepreneurs and aspiring business owners. Its mission is to stimulate and promote positive social, economic and cultural changes worldwide through effective cross-cultural communication and sustainable business systems. Dr. Vivian W. Lee (a.k.a. Dr. Vi - value & integrity) is a Marketing Strategist and a Master Copywriter. Click here to get your FREE eBook and eCourses today!